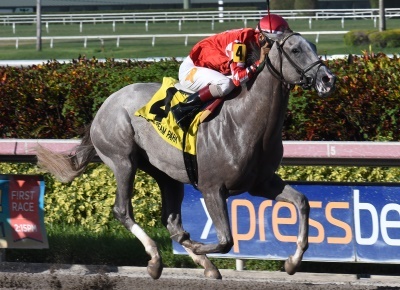 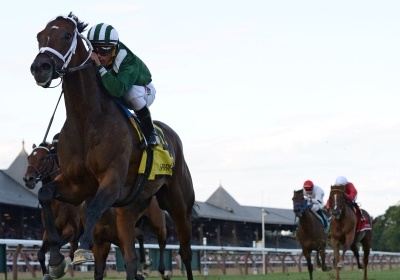 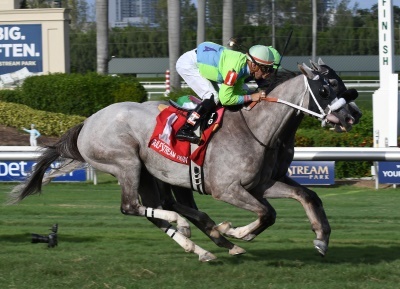 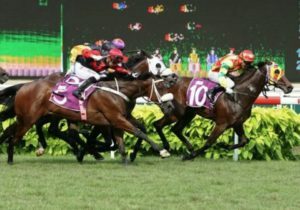 Raroma Stable’s unbeaten Phantom Ro took charge at the start of Saturday’s $100,000 FTBOA Florida Sire Dr. Fager Stakes at Gulfstream and the 2-year-old Florida-bred gelding by Wildcat Heir led all the way, drawing off in the lane to a 2-3/4 length victory. Two for two for trainer Ralph Nicks, he has earned $94,000. Consigned by Beth Bayer, Agent, he went through the ring at the 2016 OBS August Yearling Sale.